More than 20 percent of Elbeco’s quality products are proudly made in the United States and our company is the largest employer of union uniform garment makers in the nation. We are pleased to count the United States Postal Service among our customers, all those uniforms are made here in our country. Our commitment to service and broad manufacturing resources allow us to provide solutions that meet our customers’ specific needs. 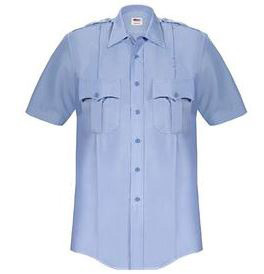 In addition to our vast array of stock shirt, trouser and outerwear styles (which typically ship within 24 hours), Elbeco can provide custom garments to meet customers’ unique requirements. Elbeco remains focused on continuous improvement, developing new and updating current products to meet the changing needs of our customers. 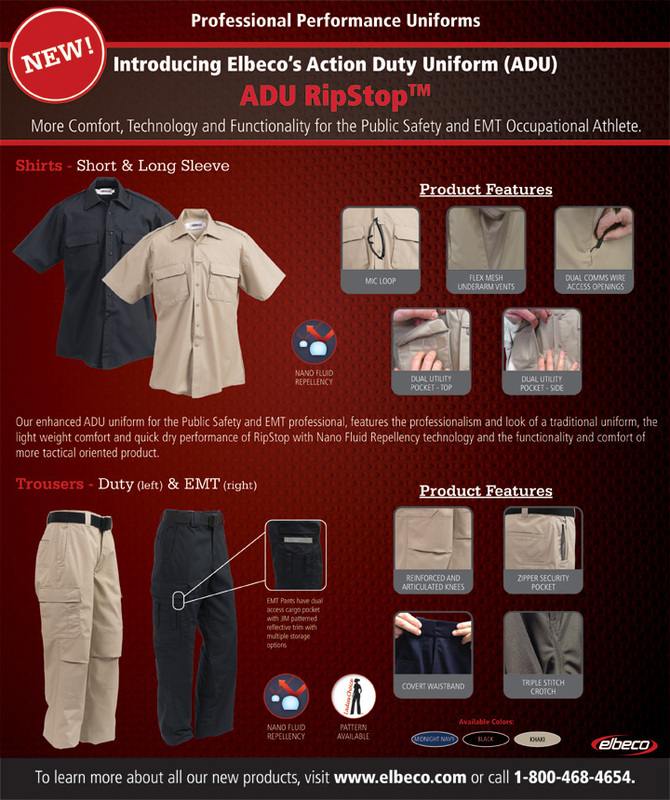 This focus has produced such revolutionary fabric technologies as Nano Fluid Repellency, Moisture-wicking,Antimicrobial, and Soil Release, which enhance the performance of our uniform lines. It also drove the development of our Ladies Choice uniforms – the first ones made exclusively for women by women– and our new V1 , 100% Cotton, Tek2 and T2 lines. The V1 TexTrop External Vest Carrier is a cosmetic outershell intended to house the wearer’s current vest in its original concealable carrier. The external vest carrier is designed to be worn over a uniform shirt and fits most carriers on the market today where front and rear carrier assemblies separate at the shoulder, with either hook and loop or adjustable strap mechanisms. 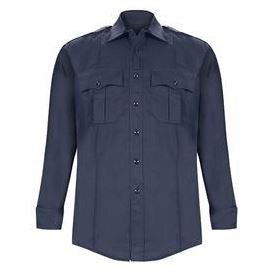 This shirt from Elbeco is designed to offer the ultimate in durability and comfort, Tek2 shirts feature a comfortable stretch twill weave with permanent Nano Fluid Repellency technology to keep you dry and comfortable. It maintains the natural breathability of fabric while preventing fluids from penetrating fibers. Pair with Tek2 Trousers, Cargos or shorts for a comfortable, durable uniform. Paragon Plus™ shirts are available in both men’s and women’s sizes and in long and short sleeves. Nano Fluid Repellency technology keeps you dry and comfortable because it maintains the natural breathability of the fabric while preventing fluids from penetrating the fibers. UV40+ protection shields your skin from the sun and keeps the fabric from fading.